Gamers won’t be surprised. We and our colleagues have discovered a link between people’s ability to play video games and their general intelligence. Our research, published in the journal PLOS ONE, can’t establish whether playing video games makes people smarter or whether being smart makes you better at video games (or some other explanation). But it points to intriguing possibilities in using games more generally for behavioural science, in particular for measuring people’s intelligence. To demonstrate this, our team (led by Professor Alex Wade) ran two studies. The first involved 56 experienced players of League of Legends, a “multiplayer online battle arena” (MOBA) game where two teams of five players compete in a fast-paced strategy game. 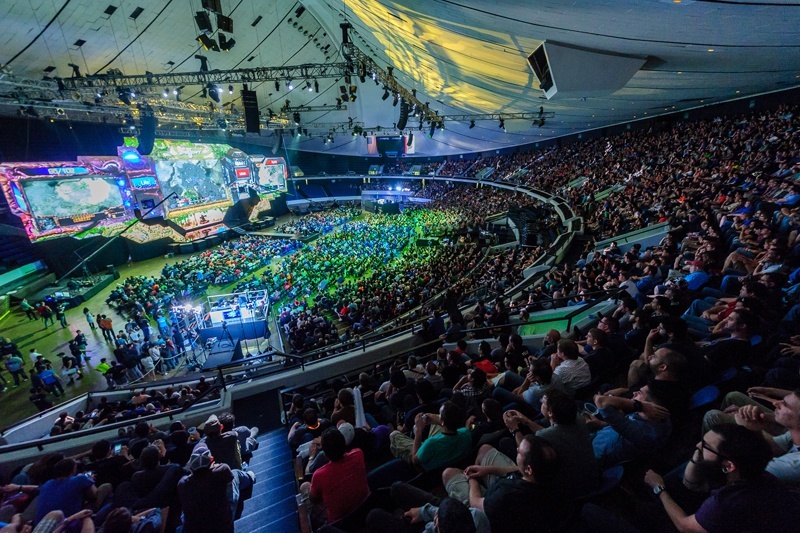 League of Legends is highly popular – millions play it every day around the world. It has a thriving professional esports scene – a rapidly growing US$700m industry where millions of viewers watch matches between highly-skilled professional players. For our study, the experienced players conducted standard paper-and-pencil intelligence tests. The results showed that those with higher IQ testscores tended to perform better at the game. Our measurements showed that highly ranked League of Legends players have an average IQ of around 115-120, putting them in the top 15% of the population. In our second study, we analysed gameplay data for more than 20,000 participants playing two MOBAs (League of Legends and Dota 2) and two “first-person shooters” (Destiny and Battlefield 3). First-person shooters are fast-action games involving shooting enemies and other targets, in which players view the action as though through the eyes of the character they are controlling. We used data for the players’ performance in the game and their age, and found that performance in the strategy games League of Legends and Dota 2 tended to be strongest in players around their mid-twenties – the same age as one’s IQ peaks. This is similar to the behaviour seen for players of traditional strategy games such as chess, where the peak skill follows a similar pattern with age, and for other strategy video games such as Starcraft II. There was no similar age pattern for the first-person shooters, possibly because skill in these games depends more on speed, target accuracy and operational decision making. MOBAs rely more on working memory and the ability to make strategic decisions. Many of these strategic decisions require the ability to recognise novel patterns based on surroundings and opponents, something that has been linked to a high IQ. Previous research suggests that people who are good at strategy games such as chess tend to score highly at IQ tests. Our research has extended this to games that hundreds of millions of people across the planet play every day. This suggests that performance in these games could provide a useful, general, easy-to-collect measure of intelligence. The idea of games as intelligence tests has also been put forward for the complex 3D puzzle game Portal 2. Testing through gameplay is much cheaper than pen-and-pencil tests, and much less likely to provoke feelings of test anxiety. Across many games, this opens up a huge new potential source of behavioural data, for example as a useful proxy test for estimating the IQ of entire populations. This could be used in fields such as cognitive epidemiology, where we examine how intelligence and health are linked over time in order to monitor the brain health of a population. With systems such as these in place it might be possible to create an early-warning system for problems such as the Flint water crisis, when the water supply of the town of Flint, Michigan, was polluted with the neurotoxin lead. By monitoring a population’s IQ and comparing it with similar populations from “control” areas, we might be able to spot any decline in cognitive abilities that such an event could cause. Monitoring IQ at population levels would also allow studies to use completely anonymised data. Every click and button push in a networked game generates a piece of data. With billions of people around the world playing such games, we have the ability to explore human play behaviour at an unprecedented scale. Our work shows that behaviour during gameplay could indicate behaviour across a wider range of (non-game) activities. This gives us a tantalising glimpse of a future where we might use data on game behaviour to evaluate the effects of environment, policy or drugs on mental wellbeing and performance across whole populations.